Another holiday season is approaching fast, and many IT professionals are thinking of gift ideas for friends and co-workers in the industry, or perhaps some gifts for loved ones. I put together a holiday gift guide for IT professionals last year, but in the communal spirit of the season, this year I decided to open up the process and invited some of our authors to suggest gift ideas of their own. So whether you’re celebrating Hanukkah (belatedly), Kwanzaa, Christmas, or even Festivus, this guide should help you get the tech-centered portion of your holiday gift shopping sorted. 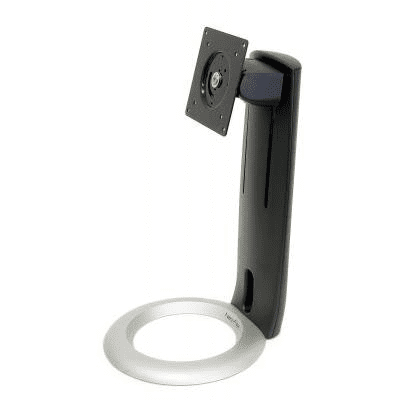 A little too large to fit into a stocking, but nevertheless available for a reasonable $50, the Ergotron Neo-Flex LCD monitor stand is something that no geek should be without. Most monitors come with a small removable base that is too low to raise the top of the screen to eye level, which is where it should be to avoid eyestrain and for you to maintain correct posture. Don’t underestimate the importance of this, as sitting in front of a screen for long periods, if not set up properly, can lead to headaches, backache and more serious health problems. My fellow cube-dwellers, technical support personnel, and help-desk staff can get a bit stressed out at times. This causes keyboards to be broken and snarky comments to be directed at end users who call up asking why Clippy isn’t offering them helpful tips anymore. Now that Windows 8.1 has landed and new devices are arriving, there are new possibilities for doing presentations (a central piece of my job). My ambition is to do presentations from an 8-inch tablet running Windows 8.1, connecting wirelessly to the display device using Miracast. With this, the tablet is the PowerPoint device, the “clicker,” and a cue card that ends my need to turn to see what slide is up when I wander from the podium. I shopped the market and decided to purchase the Toshiba Encore, an 8-inch tablet that runs Windows 8.1 (not Windows RT 8.1). There are two models: 32 GB storage and 64 GB storage. Both models have an Intel Atom Processor Z3740 (aka “Bay Trail”), Intel Gen 7 graphics, 2 GB RAM, power via Micro-USB, Micro-HDMI and Micro-SD slots (up to 64 GB), a 2.0 MP front camera and 8.0 MP rear camera, and built-in GPS. The quad core (eight logical processors) seems to run just fine. It’s noticeably faster than the previous generation “Clover Trail” Atom CPU. You won’t be using this to do 3-D modeling in AutoCAD, but this is an 8-inch consumption device, after all. Everything seems nice and snappy. The 32 GB storage leaves around 10 GB free. If you want to sync or install a lot of stuff onto the C: drive, then get the 64 GB version. I’ll be making use of the Micro-SD port to store PowerPoint slides, music, and videos. 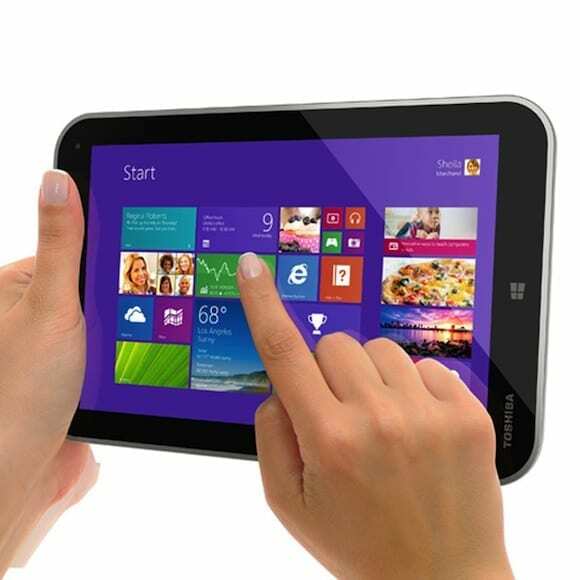 The 1280 * 800 LCD offers five-point multipoint touch. Photos look okay on it. The Dell Venue 8 Pro might get a slight edge on image quality, but I’m happy enough with what the Toshiba can do, especially because the Toshiba can output using a Micro-HDMI lead, something with the Dell is lacking. One of my favorite IT pro gifts this year is the Cocoon Grid-It! from Cocoon Innovations. As an IT pro I’m forced to carry dozens of cables, adapters, gadgets, and yes, gizmos. I stuff all of these in my trusty, and quite heavy, laptop bag and hit the road. The problem occurs when I need one of these important gizmos — say, for instance, a Cisco Console cable — and then I inevitably spend 15 minutes dumping the contents of my laptop bag all over the network room floor until I find it. Then I get to shove everything else back in the bag. And it’s not just me – pretty much every IT pro I know suffers this same reality. The Cocoon Grid It! solves the above problem in a simple, but ingenious way, using a cross-hatch weave of rubberized elastic straps on “boards” of various sizes. This provides virtually countless possible configurations for organizing all those cables, adapters, gadgets, and gizmos. 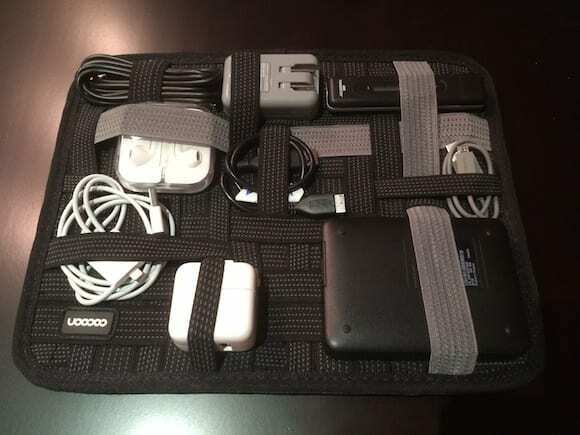 From the smallest USB to Lightning Adapter to my external 2TB USB drive, they all fit nicely organized on my Cocoon Grid-It! Now when I need something from my laptop bag I just grab what I need and go to work. Giving these to all of my IT buddies will surely make me a hero – at least for five minutes or so! — John O’Neill Sr.
Now that the new Xbox One and PlayStation 4 video game consoles have hit the market, press coverage of both has been overwhelming. Both consoles seem to be selling well, despite some well-publicized glitches like blinking blue lights of death on the PS4 and noisy, broken disc drives on the Xbox One . Both also suffer from a lack of compelling launch titles, and some of those that are available – I’m mainly looking at you, Forza 5 and Ryse: Son of Rome – are infested with micro-transactions. You know, the insidious “unlock more stuff with money!” trend that has been creeping into the video game industry. 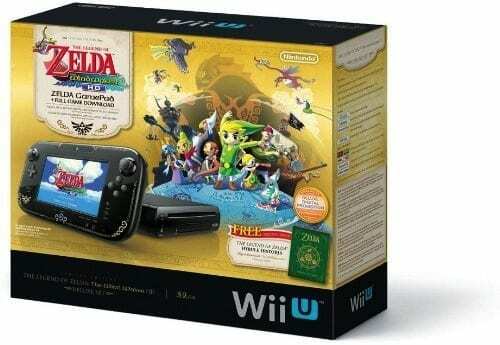 So I’d like to propose an alternative: The Nintendo Wii U Zelda Bundle. Not only is the Wii U $200 cheaper than the Xbox One and $100 cheaper than the PlayStation 4, this bundle gives you a $60 game – the Legend of Zelda: The Wind Waker HD – for free. So look at it this way: For the $500 sticker of an Xbox One with one controller and no games, you can get the Wii U Zelda bundle with Wind Waker HD ($299), two extra controllers ($80), the excellent Super Mario 3D World ($60) for the family, Deus Ex: Human Revolution – Director’s Cut ($50) for the adults and big kids, and still have $10 left over to spend on wrapping paper, tape, and a cup of coffee.